Next Week Jon Lindstrom Returns To GH! How Will Kevin React When He Sees The Peeps From "Port Charles"? And as the big returns keep coming to General Hospital, looks like there is more in store paying homage and somehow connecting the stories of the characters and actors currently on the GH canvas that were once part of the vampire saga of its spin-off Port Charles! 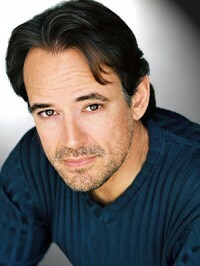 Next week Jon Lindstrom makes his return to the ABC soap as Kevin Collins to help his troubled estranged wife Lucy Coe! And according to this week’s issue of Soap Opera Digest on newsstands now, Lindstrom relates that they are going to address the history that he and Kelly Monaco’s Sam (who was Kevin’s daughter Livvie on PC) have and Michael Easton, presently John (who was Caleb the Vampire on PC) have somehow! In addition, Jimmy Deshler is coming to General Hospital on January 30th in the new role of Rafe who is rumored to wind up being revealed as the son of PC’s Alison Barrington and Caleb Morley! However, the character of Rafe could be a spoiler in the romance of Molly (Haley Pullos) and TJ (Tequan Richmond), according to SOD! So soapers, what do you think should be done with the characters of Lucy, Kevin, Sam and John in regards to their real and mistaken identities? If Michael Easton could no longer play John McBain, because McBain belongs to One Life to Live, would GH dare make him Caleb? And what do you think about the edition of Deshler to the mix? Weigh-in! NEW: Van Hansis & Kit Williamson Interview! – What’s Next For EastSiders Fans & Troubled Partners Thom & Cal? 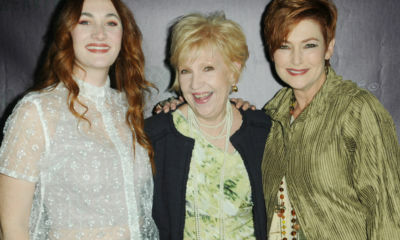 I only watched Port Charles a handful of times – I just couldn’t get into the whole vampire storyline. I can buy John and Sam feeling a certain “comfortable familiarity” with each other – but lets not revisit the vampire years of PC. Personally I think it would be a ratings disaster. There were vampires in Port Charles. Its a fact. Lucy isn’t crazy. She is a vampire slayer, like her cousin Rafe Covich who also died and came back as an angel. Kevin knows this. Sam looks like Livvie, John looks like Caleb and Duke looks like Joshua Temple (and Greg Madden). Kevin can come back to Port Charles and convince Lucy that its a case of mistaken identity but he can’t deny what actually happened and i hope that’s not what’s going to happen. 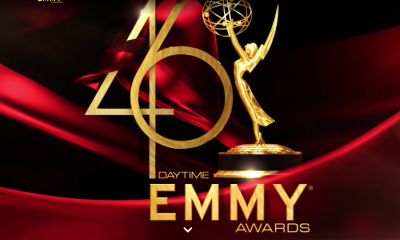 My understanding is that ABC is trying to work out a deal where Todd, Starr and John only go back to Llanview for a time and then come back, but if that’s not the case and Easton stays with GH then yes make him Caleb masquerading as John but also make him permanently cured of vampirism so he can be a bad guy on GH with his history intact but not a supernatural character on the show. and if Rafe is Allison Barrington’s and Caleb’s child then how did that happen because vampires cannot reproduce. That’s why Caleb wanted Ian Thornhart’s son. He would have to be Allson and Rafe Covich’s son. Do you know how silly that sounds. Permanently Cure him of Vampire ism????? 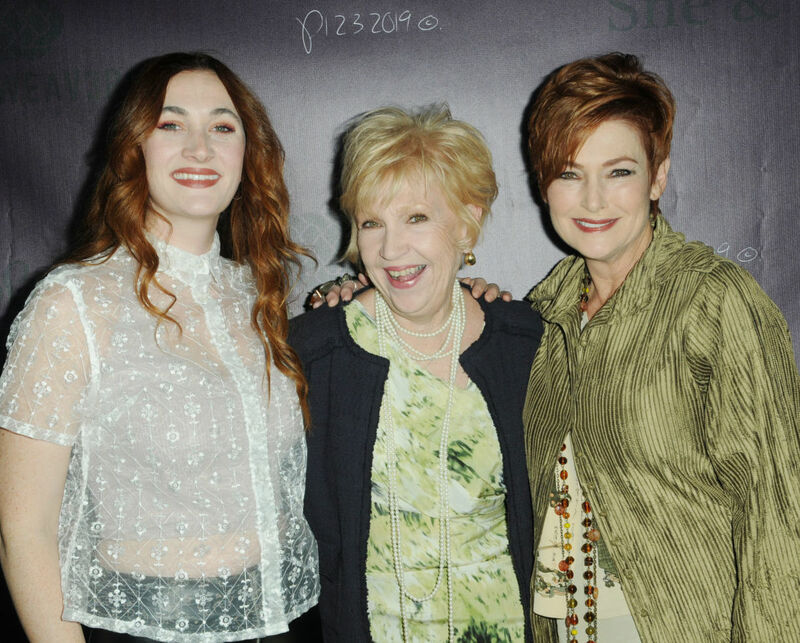 Correct me if I am wrong but the only “cure” is a stake thru the heart…..There is an article out about ME and the others are going back to OLTL as their characters, PP does not have to work with ABC and let them characters go back, and i hope they don’t! Let’s go with your theory, Caleb masqueraded as John, so what then Natalie fell in love with a Vampire? How did John and Natalie have Little Liam then? He is a Vampire but for years he never once needed Blood to survive and no one noticed anything? Do you see what I am saying? 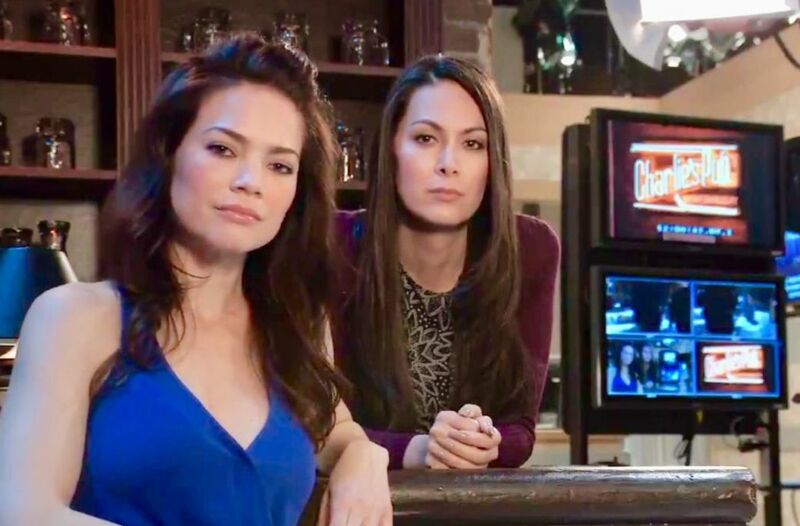 GH went and put these characters in front burner story lines knowing that at any time PP could take them characters back and they did and now GH is screwed and really screwed if PP doesn’t let the characters return. RC and FV should not have just done what they wanted because it could bite them in the booty and it looks like that just might be the case….JMO! OK clearly you never watched Port Charles or you wouldn’t have posted this reply to me. Caleb was CURED OF VAMPIRISM at one point. There was a hot spring under the city that cured not only caleb but some other vampires as well. So according to Port Charles Vampire Lore, yes Caleb can be cured and become human again. and no I’m not saying that John McBain on One Life to Live was Caleb, I’m saying that if Michael Easton wants to stay on GH and Prospect Park won’t let him be McBain there anymore, then they could say he was masquerading as McBain. They could show a flashback to where Caleb imprisoned McBain somewhere around the time that McBain, Todd and Starr all showed up in Port Charles. Then they cure him of vampirism and the updated Caleb can be a regular bad guy on GH. It works if you’re not ignorant of the series Port Charles. So I see what you’re saying but next time you might want to be knowledgeable of your subject before you make a fool of yourself. First of all, yes soaps are not real but come on now at least be some what accurate in your writing! A Vampire can not be “cured with a dip in a hot spring under the city”. Let’s go with your theory, Where has John McBain been all this time then? Starr was John’s step daughter I am sure she would know that John was not himself, since to impersonate someone you have to know that person, But let me guess they can say that the hot spring that “cured” him gave him powers of being able to masquerade as someone they have never met and FOOL ppl that have known them for years?? “Todd” and John have been in each others orbit since day 1 and in each others families, John was married to Blair, John’s sister in law “kidnapped” Todds son Sam, John is engaged to Todd’s niece Natalie and has a kid with her, they know each other “Todd” would also know that John was not himself! 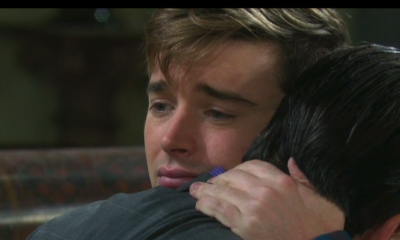 John also would not stay away for months from Natalie and the son he just got back in his life because of Brody. Most importantly John has talked to Natalie more than once there is NO WAY he would have fooled Natalie no one knows John better than Her! Do you see what I am saying? Just because FV & RC did what they wanted with these characters….our show and story lines the show ended on shouldn’t be Re~written because of them Sorry! It doesn’t matter how it sounds to you – Alan is right – this is how the storyline was written on PC and since you didn’t watch the show, it doesn’t make sense that you would say someone who watched it is in accurate. PC has been off the air for at least 10 years. If Caleb was cured, then he moved to Llanview to become John McBain which is when the actor first went to OLTL. Very simple. As far as vampires not having kids, well Caleb made one with Allison so he could definitely have one with Natalie. I don’t know where you get the idea that somehow Todd would know John was a vampire. He has never been to PC during the vampire stories so how would he know ? also I am VERY happy to see the show list on the right and next to AMC and OLTL it doesn’t say RIP anymore 🙂 I’m not a Guiding Light or As the World Turns fan myself but for those who are i hope Prospect Park revives them too in time if everything works out. lol i wouldn’t mind seeing Loving, Ryan’s Hope or Dark Shadows come back as well!! or Port Charles with ALL of the vampires very very real!!!! love it. i reallly hope mcbain, todd and starr are a permanent part of GH. the story lines have really been good. especially Todd…love his sick-o sweetness..sorta. kinda like the vampire angle, to. you can never have too many vampires, well, yes you can, but it’s all good. PP has already taken back them characters. They are owned by PP…. welcome back Kevin, can’t wait for Laura, Scott and Frisco to hit town, its going to be Awesome. Don’t mess up Lucys identity..Keep her AS LUCY COE. LYNN HERRING IS PHENOMENAL.AS LUCY COE!!! I agree with johanna! I want my Jolie back, hate the fact that ME is contracted to ABC but looks like John McBain will go back to Llanview to Natalie. I never watched Port Charles except on you tube to see why everyone liked ME and KM together-NOT IMPRESSED! I’m probably just to use to ME & MA as my favorite soap couple (John/Natalie) since 2003. Lots of history there. 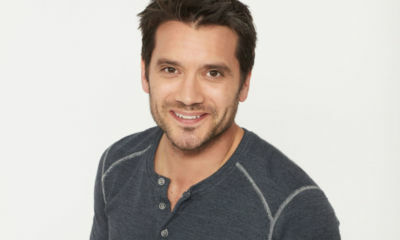 Will miss him on OLTL, but GH has nothing for me now so looking forward to PP version. Wouldn’t watch GH for sure if they went back to vampires! I too want my Jolie back maybe ME can do double duty/bicoastal work…John on the East coast and Caleb on the West. Never liked him wiith KM but at least we woud have our Jolie back. I’m with the both of you’s! LOVE LOVE LOVE LOVE MY JOLIE! I read an article that ME & KA are going back to OLTL as John and Starr and that RH is the hold out because he wants to come back but for a shorter time than planned, and since Todd is owned by PP he will not be leaving OLTL as Todd. I can not wait to see my ALL TIME FAV Soap couple Jolie!!!! I am not a vampire fan… but nods back to PC and deja vue type moments are great… if handled well. See the opportunity around John Mcabain if Eason’s McBain character has to be OLTL exclusively. I loved this storyline back when it was on PC. However, I am quite upset to hear they are having another actor come in to play Rafe. Why not have Brian Gaskill, the original Rafe? i think this is Rafe Jr. Allison Barrington’s son that they are bringing to GH. I have no problem with Michael staying on as Caleb, because I loved the vampire story on PC. I’ve wanted Allison Barrington on the show for awhile too, so having her son on will hopeful bring her to town…And I sort of like the idea of Molly having choices. IS HE GOING TO PLAY KELLY MONACO (SAM MCALL FATHER)? BRING ON THE VAMPIRE STORY!!!!! I love GH, but if this vampire storyline keeps going, I’m done watching it. I hated Port Charles because of that storyline. We’re adults (most of us), not preteens – we don’t need vampire stories. I really hope they do not start with all the vampire stories.GH is my favorite but I cannot stand this vampire thing now.So please stop already.Only adult story lines please! I never watched GH regularly. However I watched Port Charles religiously. I’m extremely happy that PC characters are coming to GH. I’ve been watching GH purely for the Caleb/vampire storyline. Thank you Cartini for partly reviving one of my favorite soap.